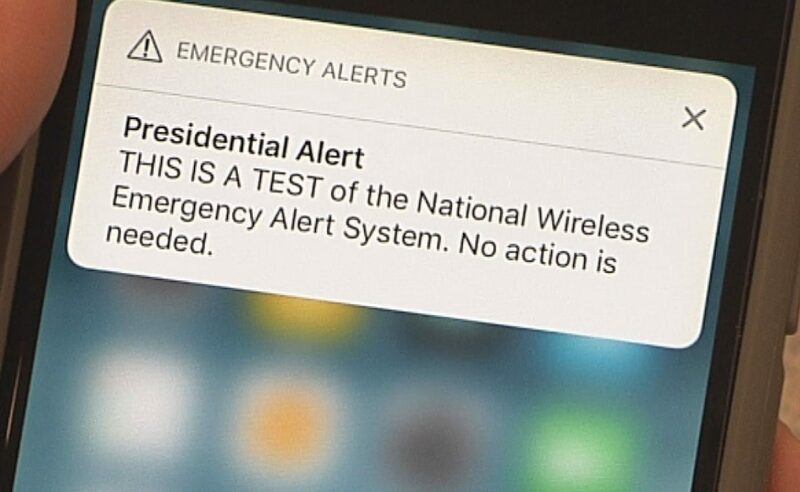 On October 3, the whole nation got another reason to be infuriated: presidential alerts were finally being tested, and everyone’s phone rang with a message saying that the alarm is a test one, and no action is needed. While the event was not supposed to be a big deal (it’s just a test, isn’t it? ), the message divided the nation into two camps: those who believe the alert can be of great help should a really terrible event capable of affecting the entire country happen, and those who oppose the introduction of the system and doubt the President will not succumb to the temptation to abuse the new means of communication. It’s not that everyone is so bloodthirsty. Local alerts have long been praised as a good way to warn people living in a particular area that a hurricane is expected or some other act of God is about to happen. AMBER alerts, while their usefulness is doubted by some, can also help save someone’s life. But despite the recommendation not to turn off these alerts, many Americans opted for disabling the feature. Some did it because they felt they did not need the information shared (mostly due to being too far away from the place where the event is taking or has taken place), others cannot stand hearing the screeching sound in the middle of the night. Whatever the reasons behind the decision, everyone went along with it when these systems went live – because we have an option to turn it off. iOS and Android have special settings that enable one to refuse to receive emergency alerts (though it is not recommended to do so, as the information shared is really important). But there is one type of alerts you cannot opt out, and that is presidential alerts. The very name suggests that it is a message sent by the President. No panic – it is not some two-digit number to which Mr Trump can send anything he wants. In fact, the name of the alert definitely contributed to the aggressive reaction it is now facing. Yes, presidential alerts can be sent by the President or some other authorized person appointed by him or her, but all these messages are subject to be checked and approved by FEMA. Most people hate the concept of the newly tested presidential alerts because they are afraid of being spammed by the current President, who is notorious for his controversial use of social media. The internet is teeming with jokes that Trump will fail to resist the temptation to use the system to share something stupid, like ‘The White House has run out of Diet Coke! I repeat!” and so on. Let us reassure you: in spite of the proclivity of the President to abuse opportunities to share his opinion, chances are this will not happen. First, all these messages are controlled by FEMA, so there is no direct communication. Second, this system is for extremely dangerous situations affecting the entire country, i.e. it is going to be used very rarely, if ever (hopefully). Even hurricanes, floods and other disasters are announced locally and do not fall under the category of events worth a presidential alert. Third, even if the President decides to use the system to his own benefit (which is an unlikely scenario), it will be a violation of the legislation, which will bring him a lot of problems should it really happen. However, Trump is not the only reason why many people are opposed to it. It is the hijacking of personal devices that makes everyone see red and go as far as to file suits against the government. Since you cannot turn these notifications off, it is considered hijacking by some, and receiving these messages is a mandatory thing which is difficult to swallow by those who are used to the concept of ultimate freedom and want to defend their rights. Still, there are several things you can try doing so as not to see these alerts. Try disabling other alerts. This measure is unlikely to work, but since you do not like being sent anything unapproved by you, it is something for you to consider. Put your smartphone on silent. Yes, it is inconvenient, but it appears to be the only way to avoid the sounds played by the device when such an alert is received. You will still receive a visual notification, though. There are unnamed smaller networks which do not participate in the program, so if you happen to be their user, you will not receive any alerts. However, these companies are rare, and switching to their services solely for the purpose of avoiding emergency alerts is unreasonable. As of this moment, it’s all you can do about presidential alerts – you cannot opt out, but it sounds reasonable, since the scope of events which qualify is such that it is not designed to be part of your daily spam. Whatever the reason for your anti-alert stance (be it Trumpophobia, the inability to digest such intrusion, or something else), we would like to echo the official recommendations and advise not to turn off any alerts: they are infrequent, and they can help you avoid dangerous situations or save someone’s life. Hearing a strange sound once in a while is not a serious price to pay for being informed. This entry was posted in News on October 22, 2018 (Last modified: 2018-10-22T09:00:59+00:00 by Mark A..
We’re living in a world where our actions, location, purchases, browser history, and all kinds of personal information are becoming more and more public domain. State authorities have access to most of our footprints, which are growing more and more digital every day. Advertisers and big data tech companies are deeply curious about our consumer habits. Our loved ones may also want more access, some theoretically, some more aggressively, interfering with our personal space. 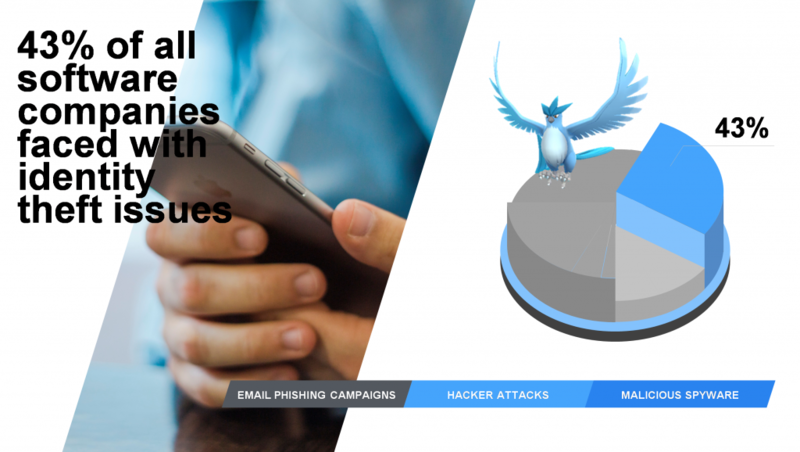 Phone tracking, mobile spying, parental control software – all these are synonymous, and basically allow a user to gain information about his or her counterparty without his or her consent. The only case in which such actions are legally appropriate in most countries is that of underage children, and even with employees’ company phones, people have to be forewarned that there’s a possibility of their phones being monitored. 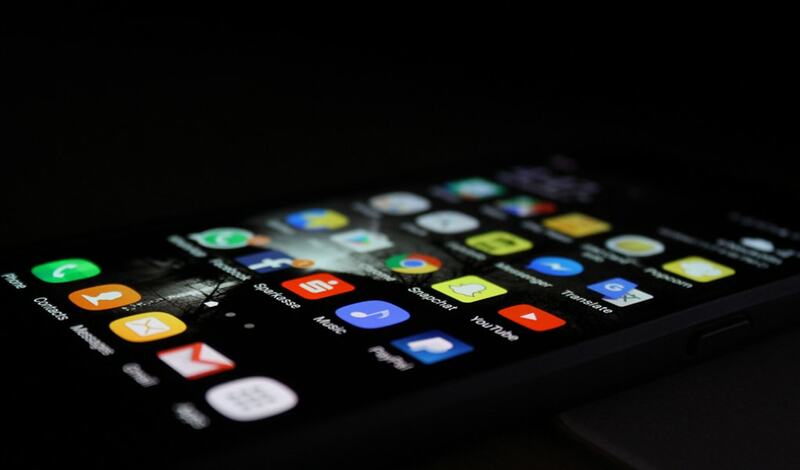 Even though there are situations when resorting to such apps is understandable, you do need to remember that the legal requirements in your country are probably against it. Phone tracking is a growing industry, since the desire to monitor your teen’s activities in the dangerous world out there or make sure your employees are acting properly is not decreasing. It gives a person a sense of control, although, we must admit, produces constructive results in only a small number of cases. Interpersonal communication is a far more efficient tool in achieving harmony in a relationship. What’s new in the fledgling industry? Actually, 2017 was not marked by any breakthrough discoveries, rather, the already existing popular apps and new releases that are similar to them fine-tuned their software, made it more compatible with various operating systems and more efficient, and added new features. The smaller and weaker players have been mostly pushed to the margins, while these three are splitting the greatest portion of the market between themselves. No new players emerged, at least none that can rival the leading apps in features and price/quality ratio, or offer something exclusive as far as the technological possibilities are concerned. Most of these apps offer a similar set of features, including text message, call, e-mail and social network monitoring, GPS locators, media access, browser access, etc., in different combinations. The prices range significantly, so make sure you study the set of features offered and select one that’s most appropriate to your situation. Another thing to keep in mind is that some of the app only require a fee for downloading it, while with others it takes a recurrent monthly payment to keep the program running. It would seem fair to say that the mobile monitoring spyware market has been predominantly shaped for now, and is unlikely to undergo any radical changes any time soon – until the technology takes another leap forward, of course, and then we’ll be in for another round of new features and breakthrough opportunities. Do people need more technologically advanced opportunities for monitoring each other even closer? Well, it’ll definitely be tempting to many, but regardless of whether we consider it a positive development, it’s an almost certain one. Just like the fact that people will always worry for their young and feel pangs of jealousy, leading some to take the step and consider installing a phone monitoring app on someone’s phone. This entry was posted in Mobile Tracking, News on January 12, 2018 (Last modified: 2018-06-25T12:15:07+00:00 by Mark A..
We live in a time when technology is making amazing progress at a mind-boggling speed. Wearable technology in all its manifestations is one of the most apparent tech aspects that affects our lives more and more, and is bound to make a quantum leap in the very near future. For now, there are various attempts at creating the most efficient, functional, convenient devices, which would be considered pure sci-fi just a couple of decades ago. Smart watches and fitness trackers are no longer the fad, they’ve become a familiar part of life for many. The number of the functions they offer is expanding continuously, and now includes measuring heart rate variability and metabolic rates, but what are some of the more innovative gadgets? Training systems are a far more sophisticated invention than fitness trackers. They target the sports professionals rather than the mass consumer, and supply a wealth of biometrical information for the athlete and the trainer. A vivid example is provided by the Athos Training System, a highly advanced biometric sensor suite that provides clinical-level biometric data, crucial for analyzing and improving performance and enhancing training routines. Thousands of miniature biosensors are literally woven into Athos smart sports apparel – a shirt and a pair of shorts, and provide much more comprehensive and reliable data than any single sensor would. The information is then fed into the Athos App, allowing to interpret it in sophisticated ways, i.e. by providing a real-time view of muscle activity optimizing performance and easing recovery after injuries. Smart rings, unveiled at CES 2017 in Las Vegas, are a product of Tappy, a Hong Kong-based company. They are the next step in making payments more convenient – the ceramic ring feeds back to the Tappy smartphone app, and allows to pay at contactless payment terminals. 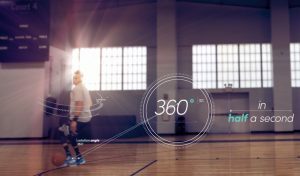 Smart sports shoes that allow to analyze an athlete’s performance (Under Armor and Iofit) have been around for some time, but they are becoming more and more sophisticated. Kids’ devices are also a growing segment. The Octopus watch, for instance, is designed for children 3-8 years old, and assists parents in creating a daily routine by sending visual reminders. It also teaches kids to tell the time. 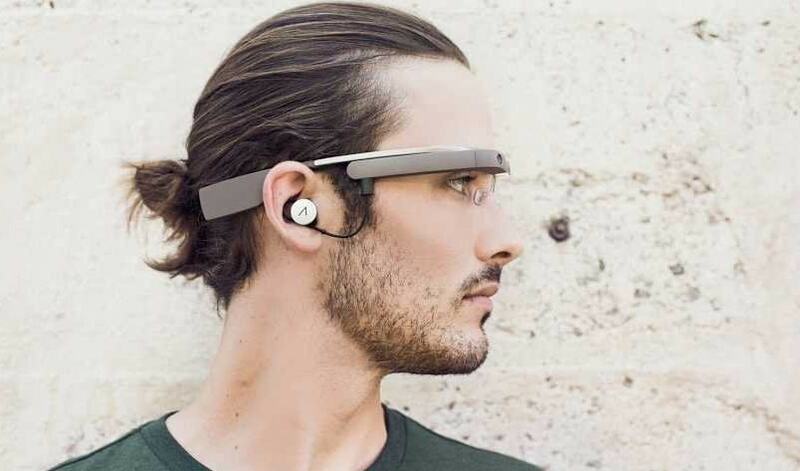 But the future is in hearables and visual wearable technology, and beyond. There is a range of hearables, augmented and virtual reality face gear, smart clothing connected to a smartphone or another device that allows to control various functions by means of swiping their specialized fabric (Jacquard, a denim jacket that is a product of collaboration between Google and Levi’s). The new Fove headset with eye-tracking technology was introduced in 2017 and is the first of its kind, opening up amazing possibilities in VR and AR. We have only touched upon the wearable technology iceberg, but there’s another fascinating topic, which is merely the logical development of the current vector – biohacking. Temporary tech tattoos (MIT and Microsoft Research are working on these) and real-time translation earbuds (project of Pilot) are coming soon. But real biohacking – implanting various micro-devices into human bodies for various purposes – is already here, and prosthetic arms straight out of cyborg games, antennae that allows to sense infrared and ultraviolet ends of the spectrum, headsets that allow to control outside objects by focusing brain attention, and other inventions are creating a new reality. When some of these and other inventions grow popular, will humankind remain purely human, or are we moving towards a beehive matrix-type existence? In any case, human population is growing more wired and interconnected by the minute, becoming more vulnerable to monitoring, hacking and being controlled, on one side, and providing amazing opportunities for creativity and positive developments – on the other. No one knows what the future holds, but it’s certainly a breathtakingly interesting time to be around. This entry was posted in News on December 22, 2017 (Last modified: 2018-03-30T12:13:01+00:00 by Mark A..
Raising children has been a challenge at all times, no matter how science and technology progress. As technology evolves, new challenges emerge. 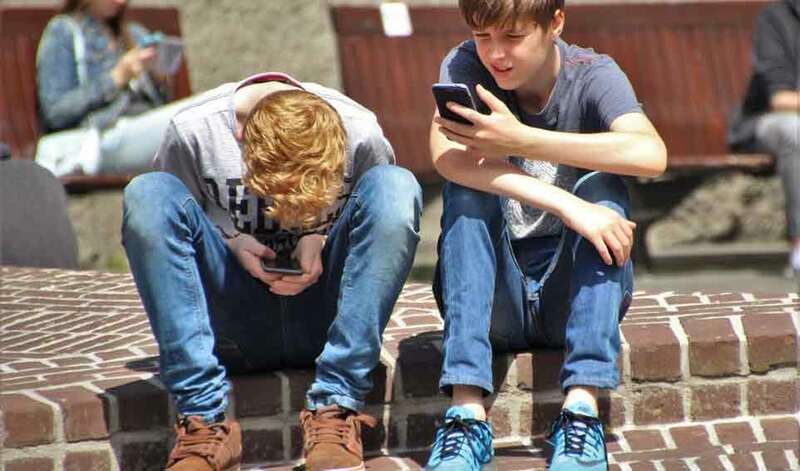 With the advent of mobile phones and mobile internet, children have gone busy communicating over the Internet. They stare into the screens of their phones instead of running and rushing wildly around the neighborhood. Although sitting with a phone will hardly result in a broken arm or leg, there are other, even more serious perils. Like everything that has clearly defined positive sides, technological boom has its milestones. There are tons of information available over the Internet, and a large share of it is far from positive. Digital communication has opened up countless new venues. However, not all people are good, and in the hands of a bad guy a good thing can become a deadly weapon. There are a growing number of complaints from schoolchildren about cyberbullying. Some bad people use social network account to unify and zombify children, whose psyche is too weak and vulnerable to resist this psychological aggression. There statistics of social media-related suicides is really intimidating. It is every parent’s duty to guard hand steer his/her children down the safest path. How can we do that? Stop letting them go outside without attendance? Take the phone away? Lock them inside a bedroom? As kids grow older, they learn more about the world and, most important, learn and want to be independent. However, their desire to be independent outruns the understanding of the price we pay for it, because their mind is too young to comprehend it. To avoid trouble, parents should start teaching their children to use phones and Internet properly. Children start getting involved in digital activities around 8-10 years old, when they are still unable to tell good from bad. It is during this age that they learn to exchange messages, share photos, videos, audio, etc. Now it is your biggest responsibility to teach your child the digital etiquette and get him/her used to the fact that you are going to monitor this activity. If you fail to do it now, it will be much harder to do it when he/she enters the teens and becomes naturally assertive. Indeed, teaching a kid to put up with having to be controlled is an extremely important thing. And it is even more important how you go that! Do not be too authoritarian! The radical steps mentioned in the beginning of the previous paragraph will hardly work, especially with teenagers. There are subtler and more ‘high-tech’ methods of keeping your child secure. At some stage of life, you can and should explain to your kid some simple things. Let him/her know that they should not talk to strangers and why. A clear and laconic explanation can do wonders to even the fussiest young boy or girl. Keep track of your child’s mood and reactions to things. Under usual circumstances they remain the same for years. If you have noticed that he/she has grown aloof, gloomy, or reserved, and it has continued for several days, something is definitely wrong. Not unlikely, your child has fallen in with some wild IT bunch or is being bullied online. Fortunately, there are good solutions, which can save you a lot of worries. There are unique software tools like ExactSpy, PhoneSheriff, etc., which you can install on your and your child’s phone or tablet. These programs have a variety of tracking options, which allow you to tract and keep record off incoming and outgoing phone calls, instant messages, browser activity, use of multimedia, etc. There have been lots of cases whereby parents, who observed sudden changes in their kids’ behavior and mood, discovered that they were being abused online and took steps to stop it. This entry was posted in News, Parents on September 29, 2017 (Last modified: 2018-06-28T10:54:56+00:00 by N Z. Emotional Intelligence has recently become a much-talked of concept despite the fact that it was first introduced some 20 years ago – in 1995. This special ability of a person to recognize and handle one’s feelings and emotions was studied by Dr. Daniel Goleman, who actually brought public’s attention to this particular cognitive ability area. Since that time there have been carried out a great number of various studies in the field and the importance of EI was actually proposed to be placed higher than one of IQ level (in any interpersonal activity, and especially in business). With the advent of technologies (that were unthinkable in 1995) emotional intelligence research has stepped onto a new level. We’ve learned everything about the concept as it is and how to implement the knowledge consciously on at least a personal basis, and we are already trying to dive deeper into emotional analytics with the range of tools we have recently acquired and are gradually updating. Methods used: facial detection, sonic algorithms and semantic analysis; tools are photo and video materials, text and speech samples. Such a blend of psychology and technology provides a chance for a very specific analysis – with the conclusions that are all the more important, the larger the scale is. Because it is profitable. For any business, for every business literally. Getting back to EI as a basis – on a personal level in business – it is about leadership and organization with the use of emotional intelligence skills; we talk about human resources management on a different level. 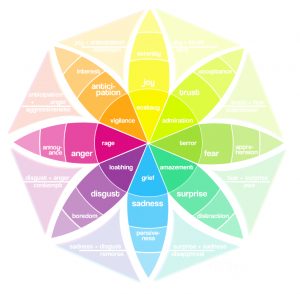 Besides, emotion analytics is very likely to take the place of many analytical marketing tools that are in use now and have been considered effective so far – but not for long. 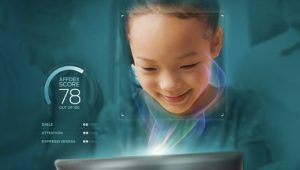 In accordance with the recent news the only pure facial recognition market is likely to grow up to $6.19bln in next five years; and provided that emotional recognition is added to this equation – the number gets unscalable. Well, so do the uses for the method. 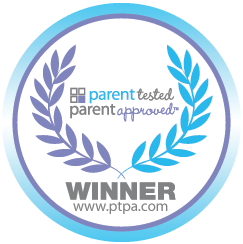 Take any group testing in business – for a commercial, or an audience response for a movie or a specific product. This is actually a marketing campaign on entirely new level – you get huge amount of automatically accumulated data that is not only collected in a more efficient way but is also much more reliable as immediate emotional reactions are very hard to control. In the opinion of Paul Zak (the Center for Neuroeconomics Studies at Claremont Graduate University) we are likely to get emotion-optimized products and services very soon; it is not even the question of tomorrow but rather of today. And getting back to the question of profit – every business that directly deals with customers won’t be able to stay unaffected. One of the most vivid examples is how large and influential businesses have already taken emotion analytics on board. Google and Pepsi along with 20th Century Fox and Jaguar have already applied for such “applied neuroscience platform” (in their own terminology) as Lightwave for parsing people’s biometrics, collecting and analyzing consumers’ emotional and mental states. 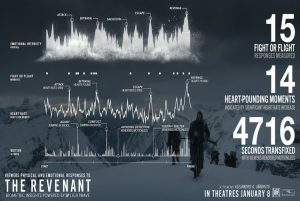 The company also measured the audience’s response and the intensity of emotional reactions to the famous movie “The Revenant” by using real-time biometric data (with a number of quite far-fetching conclusions). Lightware, as well as a growing number of similar apps and platforms is paving the road to entirely new emotion economy. 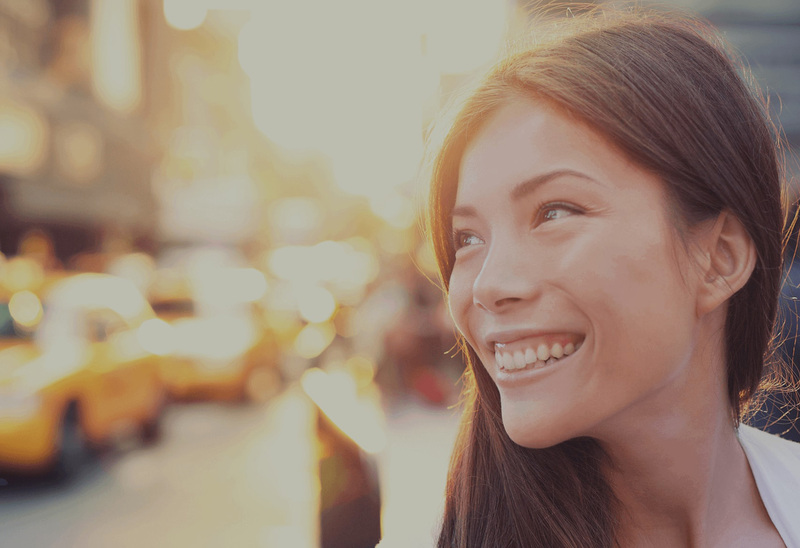 Among other APIs that recognize mood is Affectiva: it represents a new solution that allows large scale data collection and analysis – of facial expressions to be precise – with the help of visual analytic tools. At the present moment it owns a database of 3,289,274 analyzed faces. The company’s CEO and Co-founder Rana el Kaliouby points out that EI factor can no longer be neglected; besides, it can no longer be accounted separately in the era of Internet of things. Digital devices have already become an inseparable part of our life; thus, they are also in need of being adapted in terms of emotional intelligence as well – the result will be all the more beneficial. The same can be referred to the other two examples that of Synesketch and Moodies. The former represents text-to-emotion “converter”. It is an iTunes player for written text. 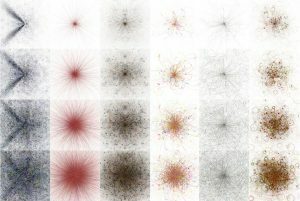 Basically it represents an tool that allows analyzing text for emotive reaction that further on is converted into a unique visualization. The latter deals with translation from speech to the language of emotions. Literally, the way one is speaking, the words used, the tone and speed and other speech-related factors are analyzed; from this information actual feedback about general emotional state and mood of a speaker is given. Besides, the analysis allows making some conclusions with regards to a person’s characteristics in decision-making. While the achievements are numerous and impressive the perspective is not clear. Emotional recognition via facial detection (or any other means) is only likely to advance, and with it a number of ethical questions is also likely to raise – especially the ones with regards to the authorization and consent granting for any such analysis. It is especially true with regards to business and advertising sector – where profit runs the show – and misuse can be expected. This entry was posted in News on October 26, 2016 (Last modified: 2018-07-07T14:07:18+00:00 by N Z. Under the term the “Internet of things” (IoT) is currently understood a growing number of concepts; the idea has become increasingly popular. As a matter of fact, there is a lot of complexity behind the term as it is pretty much related to a number of things including technology and innovation and human factor and what not. However, all this fails pretty much to cover up the idea of sense behind IoT. Thus, here are some things to understand. 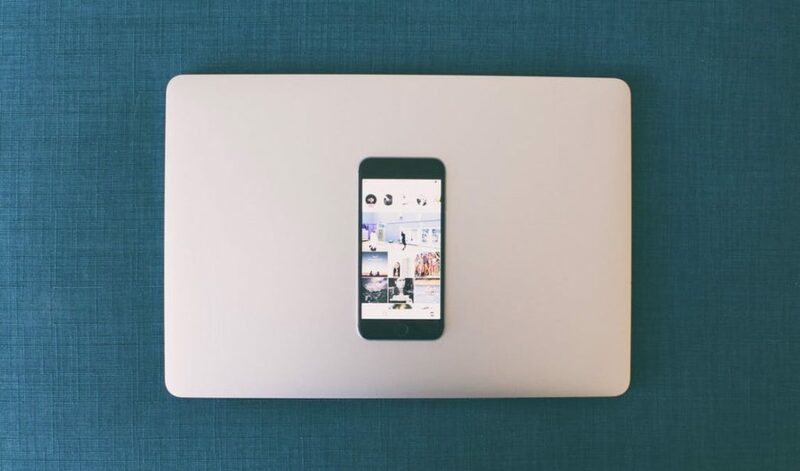 Nowadays Internet as a phenomenon seems so natural, and it’s getting cheaper, more and more available, and inseparable from our daily lives with all the potential of Wi-Fi and smartphones and numerous other gadgets that inevitably invade our lives. With all this in mind the basic concept behind IoT is that any device that has a potential for Internet access will be connected to it; and such devices will also be interconnected with one another. Thus, we are going to have all sorts of appliances and devices at home (and out) that create an actual network – and the prospects are that by 2020 we are going to have about 30 million devices connected in such a way. Pretty impressive, isn’t it? So, we are getting at entirely new level – not only it is things-people relationship but all the possible combinations as well. One of the concepts is of a smart city; the one that will live and develop effectively and will be able both to serve as a comfortable place to live and harm environment to a minimum at the same time. There are others, of course, as the potential of IoT is really great. In a sense it is hard to imagine all the opportunities and openings that such technology is to offer. We will have everything connected, if it can be. Well, here is the point where questions and discussions start arising. Do we actually need so many things connected? Do we have to be surrounded by an invisible network of gadgets that, well, are able to think on their own? The discussions are numerous and some of the questions refer to a broader issue of artificial intelligence and all things related. Some of the conversations do get negative hint that reflect eternal fear of the unknown and unconventional; and surely, there is plenty of challenge and risks to be taken. First and foremost is the question of security. With all the devices and gadgets brought up together in one network, there is no surprise that people may worry about their private data security. As the leak in one place will definitely be fraught with unpleasant (and sometimes even downright dreadful) consequences. Just imagine someone hacking into your coffee-maker and stealing all you personal photo from your smartphone, or credit card data, or else. Not nice, isn’t it? There are several talks about IoT on Ted.com. They dwell on the topic how IoT is going to affect our daily lives with the speakers trying to make attempts at understanding both the benefits and the challenges and how we can prepare ourselves to deal with such product of process to the best of our advantage. Get a better idea by having a look at “The Internet of Things: Dr. John Barrett at TEDxCIT“. This entry was posted in News on September 1, 2016 (Last modified: 2018-06-28T11:20:12+00:00 by N Z. Recently it is fairly hard to find anyone unaware of Pokémon Go – which is definitely saying something about the popularity of the game app. The guess is that such popularity can be explained by the rare (and successful) mix of reality and virtual in one small app. Surely, most of us have already seen those crazy people trying to catch a Pokémon at the street, in a mall, in your grandmother’s garden. Well, you can hardly miss it as your phone starts sending vibrations as soon as you approach one. The fancy part of the game is that no matter where you are – in Lisbon’s Alfama or Aukland, New Zealand – your Pokémon will be catching #28 tram, or taking a stroll around the city as real. The more of them you collect by capturing, the cooler. Quite fascinating, it is. Right? However, there is a silver lining. One of the things you have to do in the first place to play is to log in with a Gmail account. Then, the app gets your location data – well, this one is essential, otherwise how else you are going to get all these realistic creatures in those definite locations? By logging in, you grant the app full access to your personal data… and here is the question – what information is actually being collected by the app? Here are several things to understand. The first one is not to grant full access to your personal information to anyone. Most users do not clearly understand the mechanism as well as consequences of such apps’ functioning; thus a great number of problems may arise. Many have heard about identity theft, however, it is only when it happens, we do realize the scale of a problem. Personal data – from health to finance – is not something we want others to be aware of; when it is lost, it can be fraught with serious consequences. 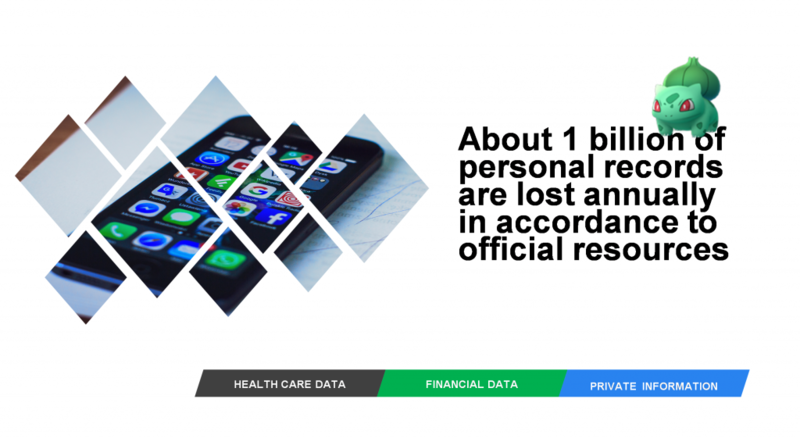 About 1 billion of personal records are lost annually in accordance to official resources; and the situation isn’t likely to improve. Sad fact is that we often make it accessible on our own by allowing such apps as Pokémon Go into our smartphones. Another study shows that about 43% of all software companies faced with identity theft issues recently and hackers are getting better and better in their ways to get personal data (FBI have numerous reports about email phishing campaigns and etc.) In many cases it is not anything complicated taking into consideration the fact that people grant access to their data by themselves simply by being unaware that a simple click and login/password procedure opens the doors wide to viruses, and consequently, to any third parties who gets your name, financial and private data in an instant. Data breaches can never be harmless, no matter on a personal or a company level. Thus, it is quite essential to learn some tricks about security and use them. Gaming is fun, let’s make sure it is safe for our kids. Don’t permit access to your personal data and privacy. Grant third-party applications limited access to your data and take precautions to protect your family from the possibility of being hacked. First of all, use two-factor authentication. This refers especially to the apps that deal with finances – e.g. banking apps, online shops and etc. Such measure allows higher level of security and your financial data will be much safer. Antimalware can also come handy. It won’t save you from a professional hack attempt, however, it will definitely keep away any unwanted apps and viruses, as well as intrusive spyware. Firewall and security apps. Those will help to keep away any attempts at security breach at least by blocking them. One more thing not to forget is to have a feature that allows remove blocking of a device. Dead useful in case of stealth. 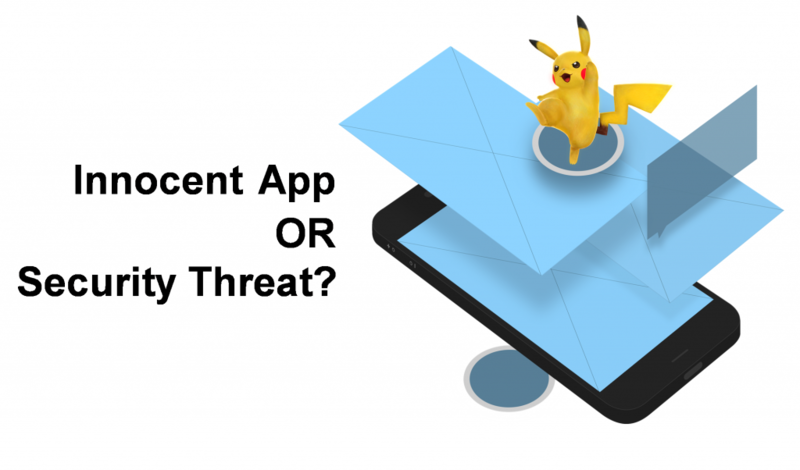 Pokémon Go is not that dangerous as any other app that you download to your device. It is fun to some extent and for some period of time it is likely to go on being popular. For those who haven’t joined this fun – make sure you take all the above mentioned precautions into consideration. This entry was posted in News on August 4, 2016 (Last modified: 2018-06-28T11:20:48+00:00 by N Z. In accordance with the recent news a very popular Flash-board disclosed some functions of data collection and transfer to third party servers. 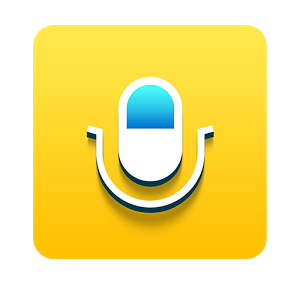 Fkash Keyboard is one of the numerous Android application that has become popular due to its functionality as well as multilingual support and also due to nice design. It was positioned as “extremely adaptive” as well as easy to use in any situation. The total number of downloads as well as installs for this app actually exceeded the ones for WhatsApp; and that’s saying something. it also seems to send the collected data (mostly data about the device model, manufactur, GPS location data as well as IMEI number) to the serves in the US, China and the Netherlands. Pentest believes that these data might have been used for analytics platforms. Surely, such services are not threatening in their nature; however, the excessive permissions as well as excessive data are one of the things that can always be misused by someone. 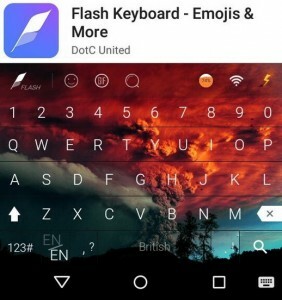 It is believed that the app was not developed to be a tracking one intentionally; however, it is rather strange that the Hong Kong-based developer of Flash Kewboard DotC United refused to comment the situation when asked for it by several media resources. As of late, the application was taken down and is no longer available in Google Play Store; however, a new analogous keyboard developed by the same company is now available for general public. Let’s hope, it does not use the same tricks. This entry was posted in News, Surveillance on July 7, 2016 (Last modified: 2018-03-30T12:35:06+00:00 by N Z.